I hold a fundamental disagreement with many Ugandan elites when it comes to the discussion of succession. In debating whether President Yoweri Museveni should go or stay we are not indulging in an abstract theoretical exercise but a challenge of practical politics. There are two positions we can take: first, we can say Museveni’s government is performing badly, we need to improve it from within. Or second, we can say it is dysfunctional and we need to change it from the outside. Let us test the first possibility i.e. change from within. This can be achieved in two ways. Museveni can be convinced or forced to retire and NRM selects a successor. This option has dim prospects. In fact it has failed (for now), the last gasp being Amama Mbabazi’s attempt. The second option is for reformers to join government and help the president perform better. This is problematic. Museveni has been president for 32 years, and is growing old and rigid. He is used to certain ways, which have served him well. That is why he has been in power for long. Asking him to change is futile, except for minor adjustments, which would please only a few. Therefore the only viable option for real reform is change from outside. This leads us inevitably to seek an alternative to Museveni and his NRM. Which person/group is best organized and positioned to take over from Museveni/NRM? What are the values, competences and aspirations of this leader/group? This is a troubling question that Ugandan pundits always ignore or avoid. The leader and group best organized and positioned to take over from Museveni/NRM is Dr Kizza Besigye and his radical extremist wing of the FDC. There is a possibility for building a third force. 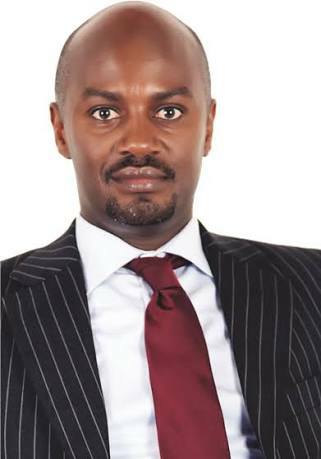 However, the 2016 failure of Mbabazi’s presidential candidature and the defeat of Mugisha Muntu in the 2018 elections for president of FDC are evidence that a third force, however morally appealing this idea feels, has limited appeal in the current circumstances. So dissecting Besigye and his radical extremist group is a critical factor in the succession debate, however much many want to avoid it. Besigye is a duplicate of Museveni but in a bastardized form. Like Museveni, Besigye has refused to leave leadership, becoming an opposition presidential candidate for life. Also like Museveni, he says there is no one else to lead the struggle as well as he does and his popularity and the trust voters have in him is not transferable to another person. Thus like Museveni, he has built a cult-following around his person rather than his party. Like Museveni, Besigye exercises personal control over all funds coming for the struggle, the party only being a shell to support his personal ambition. And like Museveni, Besigye has side-lined all the enlightened and moderate leaders of opposition such as Amanya Mushega, Augustine Ruzindana, Abdul Katuntu, Morris Ogenga-Latigo, Alice Alaso etc., surrounding himself with riffraff characters – Ingrid Turinawe, Wycliffe Bakandonda, Doreen Nyanjura etc. It is possible that Museveni and Besigye are outcomes, not architects, of this particular style of leadership; that their conduct reflects the nature of our society and its politics than their individual character. I am inclined to believe this especially because these are the things Museveni criticized in Obote and does not see them in his leadership style and Besigye criticizes in Museveni without seeing them in himself. If this hypothesis is correct, it also means that the struggle for change is a struggle to replace Museveni the person but not his system of rule. If this is the case, then I find Museveni the better man and NRM the better party compared to Besigye and the radical extremist wing of the FDC. Just compare the competences of the two men. Museveni confronted worse odds trying to remove Milton Obote from power than Besigye is confronting to remove him. He triumphed because of superior leadership and organizational ability. He was able to build a coherent organization, rally political and diplomatic support, mobilize logistical supplies, cultivate alliances with powerful social institutions in Uganda like the Catholic Church and the royal families of Toro and Buganda and inspire both elites and the masses to a higher goal and induced them to make huge sacrifices for the cause. That is why he won. Besigye faces less risks and handicaps. He has freedom to traverse the country and globe to raise money and rally diplomatic support for his cause. Yet he has failed in all his efforts. He has tried elections four times and lost. He claims his votes are stolen and promises it won’t happen again. It happens and he does nothing. He tried armed rebellion and it failed. He has attempted mass insurrection and was defeated. He failed to build FDC into a viable institution. Why should we believe he can build institutions of state and run a successful reformist administration? The ability to organize people and make them do great things (like bringing down a government) is the best evidence that once in power you can mobilize them to reform the state and make it an effective instrument to serve the common good. If you cannot organize a political party how can u organize a state? Based on this experience Museveni has much better skills in managing the state and its politics than Besigye. Third, we must ask ourselves whether Besigye and his radical extremists represent better values for progressive change than Museveni and his corrupt NRM. This can be deduced by looking at their current behaviour, which is appalling. But most critically we can look at both the leadership and follower-ship of Besigye’s radical extremist wing within the FDC. Its leaders are NEITHER drawn from the economically productive segments of our society NOR are they linked to it. Instead they are drawn entirely from the professional class. It should be obvious therefore that their interest in power is for opportunities it offers them as salaried employees of the state. The followers are a virulently intolerant, angry and abusive army of radical extremists. Unemployed and perhaps unemployable, their best skills are at hurling insults and abuses at anyone and everyone who dares express a view contrary to their own. Once in power, they would most likely transfer this intolerance into the government and use security forces to stamp out dissent, thereby turn our country into a fascist dictatorship. So they are not agents of the liberal democratic values that we would like to see. The desire for change is admirable but its practical implications cannot be ignored. In an ideal world, I would like to see Museveni go. I am intimately aware of the failures and limitations of Museveni as president and of NRM as a government. But I do not agree that we hand Uganda to radical extremists simply because we are tired of Museveni. Surely we cannot be blind to the risks of the most likely alternative. I am aware that my argument may sound like I am suggesting Museveni is irreplaceable as if he immortal. Many people would not agree that we resign ourselves to a Museveni life presidency. Yet if we want change it must be qualitative change, not any change. Those who supported change without thinking about the quality of the alternative – George Bush in Iraq, Barack Obama in Libya, the warriors in Somalia and Yemen etc. have created outcomes worse than the problem they sought to solve. Aspirations without plans inevitably turn into tragedies. Uganda needs a transition. But this must be led by third force. This force should attract moderates in NRM and FDC and independents. It should also distinguish itself from NRM’s incompetence and corruption and from the intolerance of FDC’s radical extremist wing. For now this third force is weak or non-existent. But without it, the prospect of Besigye and his radical extremists gaining state power pushes many to tolerate Museveni’s life presidency.